Albuquerque, N.M.– During a press event organized by the NM Dream Team –a branch of United We Dream–, Rep. Ben Ray Luján (NM-District 3) reiterated his promised to fight for a pathway to citizenship for over 2.5 million people currently living in the country, whose lives have been upended by the current administration. The introduction of the Dream & Promise Act (H.R. 6) has reignited the conversation on the need to fix America’s broken system. One recently aggravated by Trump’s attacks on different immigrant populations, starting with the DACA being rescinded and expanding into termination of Temporary Protection Status for several countries. 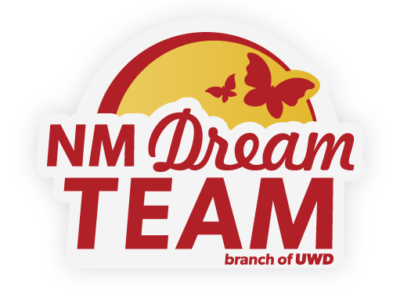 Michelle Murguia, a computer science major at Central New Mexico College in Albuquerque, NM, and an organizer of the NM Dream Team, would directly benefit from the passing and enactment of the Dream & Promise Act. “The Dream and Promise Act would not only protect me and my siblings but over 2 million people from deportation by giving us a pathway to citizenship,” Murguia said. “It would not only help DACA recipients but also our brothers and sisters with TPS whose protections were also killed by Trump”. Under the currently proposed H.R. 6, “over 2 million people would have a pathway to citizenship and permanent protections from deportation”, according to Flaviano Graciano, spokesperson for the NM Dream Team. The latest iteration of the Dream Act is currently sponsored by Rep. Nydia Velázquez (D-NY), Rep. Lucille Roybal-Allard (D-CA) and Rep. Yvette Clarke (D-NY). The bill is also being co-sponsored by another 222 House Representatives. All three members of the New Mexico delegation signed onto H.R. 6. “The contributions of our immigrant communities are what make our country the beautiful, diverse fabric we are today. 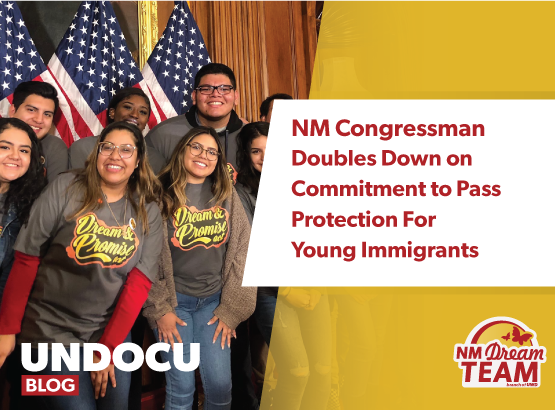 I joined the Dream and Promise Act so that Dreamers, Temporary Protected Status, and Deferred Enforced Departure holders will be able to go to school and contribute to our communities becoming doctors and business owners without having to worry about being forced out of the only place they call home,” said Rep. Deb Haaland (NM-District 1) in a recent press release. As one of the co-sponsors and strong supporters of H.R. 6, Rep. Ray Luján highlighted the bill was not about trading-in lives in exchange for protection and instead showing the country “a different path forward on immigration – one that rejects the wall and billions for the Deportation Force – and instead leads us towards permanent protections,” Luján said during the press call organized by the NM Dream Team. Luján’s statement falls in line with much of the demands immigrants’ rights groups have made since the first introduction of the Dream Act in 2007. “It builds upon the Dream Act legacy of helping people without hurting people. That is why we need it to pass the House and we need it to pass without any anti-immigrant add ons and amendments,” Murguia said. H.R. 6 is slated to move through Congress soon, sparking a new and invigorated fight for immigrants’ well being and stability across the country. “We will fight to pass it [H.R. 6] in the House of Representatives and will keep fighting until all of our community can live with dignity and can thrive,” Murguia said. “Immigrant youth and our [NM] families won’t settle for anything less,” Luján said. More information on how H.R. 6 will help protect DACA recipients, TPS holders and other immigrant groups click here.